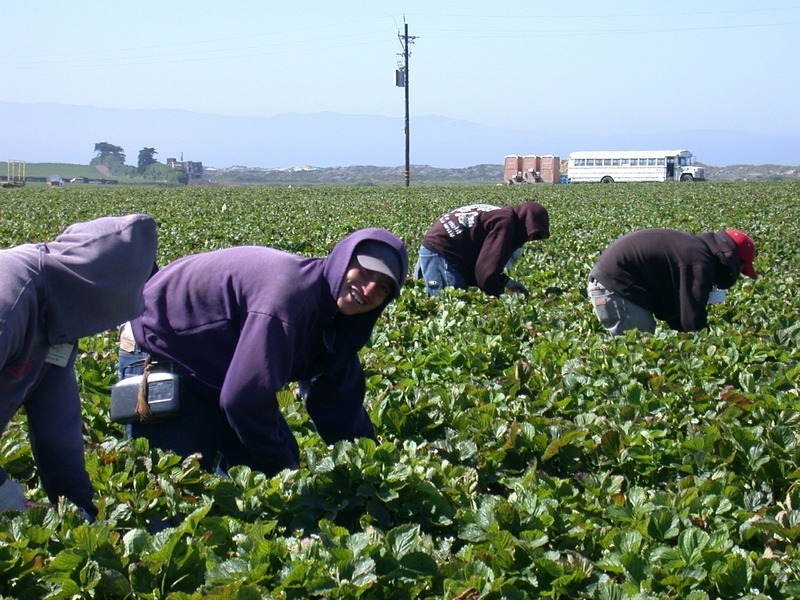 SALINAS, Calif. (CN) – A group of farmers in one of the nation’s most productive agricultural bread baskets accuses their water provider of ripping them off. The Salinas Valley Water Coalition, a collection of farmers in the Salinas Valley, sued the Monterey County Water Resources Agency, its officers and a slew of other county entities in Monterey County Superior Court this past week. They say that despite paying significant sums to the district for maintenance and new capital projects relating the Salinas Valley Water Project, they are not getting their fair share. Salinas, the hometown of author John Steinbeck, is one of the foremost agricultural centers in California, called the “Salad Bowl of the World” for its production of the majority of the nation’s salad greens. The farmers who grow the lettuce, peppers, cauliflower, wine grapes, mushrooms, strawberries, tomatoes and spinach that supply the nation’s dinner tables rely on a large watershed from the surrounding coastal mountain ranges. The lion’s share of the streams and creeks funneling from the mountains converge in the Salinas River, which winds northward and feeds out into the Monterey Bay at Moss Landing. In the 1950s, farmers in the valley – tired of the vagaries of California’s extreme weather pattern – hired a team of engineers to build the Salinas Valley Water Project, which consists principally of two dams, the Nacimiento and the San Antonio, and allowed the water resources agency to control the release of water for downstream residents. The coalition says in the lawsuit that the project’s main purpose was twofold: to protect the riparian rights of its customers, or those who have rights to the surface water supplied by the watersheds and river, and to replenish the groundwater. Replenishment of the groundwater is vital to supplying the wells that farmers use to water their crops. But it also keeps the sea at bay as seawater intrusion, in an increasingly alarming problem for the Central Coast, has the potential to compromise entire freshwater aquifers and cripple the agricultural industry as a result. “The agency, and its predecessor, have historically operated the Nacimiento Reservoir and San Antonio Reservoir to provide maximum groundwater recharge for the entire Salinas Valley through reservoir releases that maintain the Salinas River’s flows,” the coalition says in its complaint. But Charles McKee, county counsel for Monterey County and the Monterey County Water Resources Agency, said the agency must balance the need to replenish groundwater with provisions of the Endangered Species Act. The U.S. Army Corps of Engineers has determined that the Salinas River must retain a certain amount of flow to allow endangered steelhead trout to freely navigate the river. During lean years, the needs of downstream farmers must be balanced with the needs of the fish. For the coalition, though, it’s more about equity in terms of payment, as it says certain downstream farmers have contributed more than $50 million to the operation, maintenance and capital improvement of the project but have not seen the same benefits as other farmers. The wrangling over how much water should be released to downstream users is not unique to the Salinas Valley and is a common source of contention throughout California – often pitting farmers who need water for their livelihood against water managers who must balance the needs of customers, the environment and wildlife. The lawsuit comes as an increasing number of water agencies and their customers are calling for California to end its emergency drought restrictions on water releases. During a meeting of the State Water Resources Control Board in Sacramento on Wednesday, a chorus of representatives demanded the state end the restrictions. They said the abundance of water flowing through California’s waterways is demonstrable evidence the drought is over. The board said it would prefer to wait, noting that while the 46 inches of precipitation that has fallen throughout the Northern Sierra is a record for this time of year things could dry up before the end of the water year – and the drought would persist. The Salinas Valley Water Coalition could not be reached by phone as it has a nonworking number listed on its website. They seek an order to implement the project as approved, a reassessment of what they’ve paid versus what they’ve received, an order to stop diverting water away from senior rights holders, and a bar on the continued imposition of assessments that exceed what they’re getting. The farmers are represented by Eric Robinson of Kronick, Moscovitz, Tiedemann & Girard in Sacramento, and Pamela Silkwood of Horan Lloyd in Carmel, California.